On 24 August 2017 Ganesh Chathurti was celebrated with a lot of enthusiasm and fun. 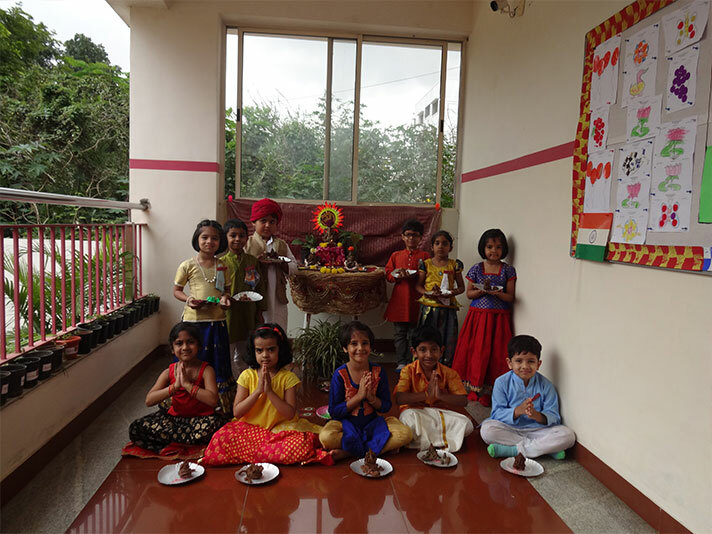 The children were dressed beautifully in their ethnic wear and were eager to listen to story of the birth of Lord Ganesha. 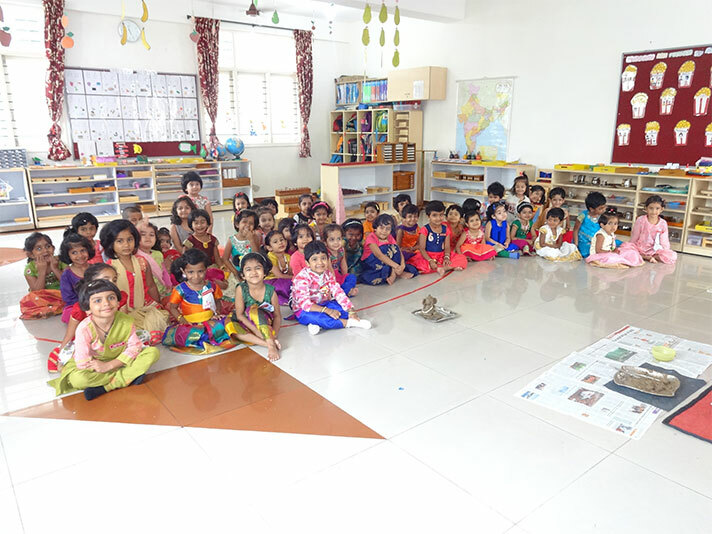 The children were given an opportunity to make clay Ganesha, which they were allowed to carry home.